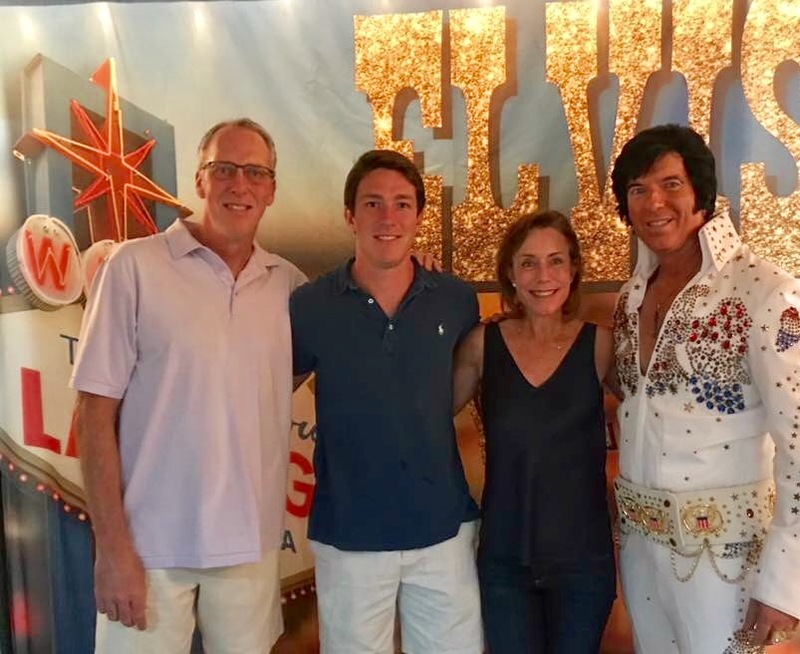 Senior Blake Steines and his parents enjoyed the Las Vegas theme of Parents Weekend. 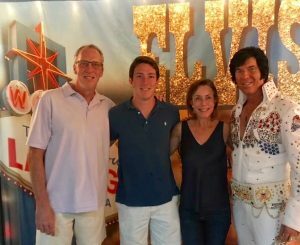 Pike welcomed the families of active members and Pike International President Shad Williams for a weekend of food, football and fun, October 20-22. Friday night, 300 plus guests enjoyed an Italian buffet on the Pike House sport court with remarks by special guest Shad Williams. The Friday night dinner theme was “Las Vegas” and came complete with great music and an Elvis Presley impersonator. After dinner, guests enjoyed casino night gaming and mingled through a silent auction of great gift cards, coupons for services and sporting tickets, proceeds of which benefit a new parent-led scholarship fund for the chapter. Through the auction, Pike Mothers Club was able to raise $8,000 for a new internal scholarship fund and other charitable activities. 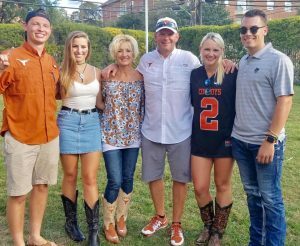 On Saturday, parents enjoyed a true Longhorn game day which included a pre-game tailgate brunch before heading to DKR Memorial Stadium where our Longhorns played exceptionally well against #10 Oklahoma State’s #1 offense in the country. Texas lost in a heartbreaking overtime, 13-10. 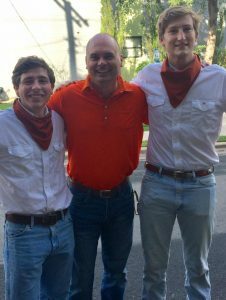 After the game, families reconvened at the Pike house to share some Texas barbecue and post-game entertainment courtesy of active member Tyler Dial. Sunday brunch was offered at the Pike house before families headed home. Big thanks to Parents Council leadership Karen Benson (chair), Robin Cox, Cara Hackley, Dr. Tiffany Roberts and Annie Thompson for the hard work that was put in to make Parent’s Weekend a success! Beta Mu was honored to welcome Pike International Fraternity President Shad Williams as Parent’s Weekend speaker. Shad enjoyed meeting Pike Texas Cowboys Nathan Roberts and Jackson Dunlap. 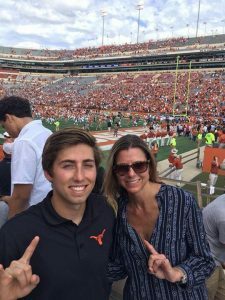 Grayland Jackson and his mom cheering on the Longhorns. The Maricks had a peaceful family reunion Austin, with Jalyn being a gentleman to his sister who attends Oklahoma State!